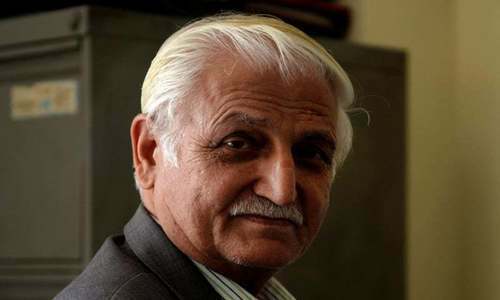 ISLAMABAD: A former senator of the Pakistan Peoples Party (PPP), Farhatullah Babar, has claimed that upcoming elections have already been rigged and manipulated and what now remains is the formality of holding of polling on July 25. The PPP leader was speaking at the launching of a poll guide titled, ‘Election Guide, All You Need to Know for Pakistan’s 2018 General Elections’. The Guide, in both English and Urdu, is supplemented with a mobile application: ‘Election Guide 2018’. The senator is right on - what remains is just a farce. (S)elections have already been made. 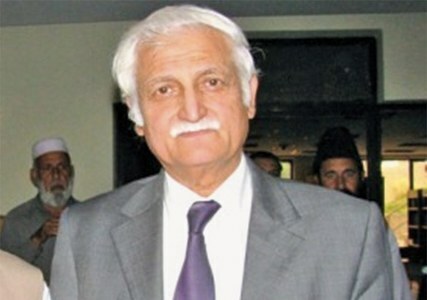 An experienced politician like Farhatullah Babar can see the writing on the wall. "The election is rigged" translates to "we are losing." Bravo Sir. I always respect your view of civilian supremacy. An undivided parliament has given a devastating economic blow to Pakistan, always spading money to their own accounts. Let there be a divided weak parliament and strong judiciary. Pakistan will go ahead strongly. People are fed up of same old politicians, same old faces, and same old chorus of democracy. Only voters can change the designs of powerful institutions, no matter what they be. He is saying this because he knows that 90% of PPP looters will be thrown in jail after the new government comes into power. So make it controversial. If election is rigged, why are still participating. PPP, the most currpted party in pak. Farahatullaha statement came after FIA Sindh announced that they are going after OMNI group chairman Anwar Majeed on major corruption charges. Yes when you know that you will lose in the election then the election becomes rigged unanimously only by the losing party. Baber remained part of the system - the rule is that when he was in power all was okay and when he may not win - it is now not okay. No wonder politicians have lost credibility. @Alba No that means the elections are rigged. IK used to say Nawaz has always had the umpire on his side. So this time he has decided to go into elections with the umpire on his side. It is all about the umpire my dear. Farhat ullah Babar has shown great courage and grit to call a spade a spade. He has spoken what most of PPP leadership shuns to speak about. Like TI, ppp is desperate to safe its face in the elections as it has already been eliminated from Punjab. Please remind us of all the good PPP has done; power shortage; water shortage; water mafias; garbage collection; corruption. Its election time and PPP is losing big time; people will not vote. Its PPP and other traditional parties that will get undone. Time for a new change. This past senator does have a back bone as he has spoken truth earlier too. It's better to impose Martial law, I am sure political parties, media, think tanks will fully support it. We are not ready for democracy yet. Says a persons whose party can never win from anywhere else in Pakistan except in interior Sindh where feudalism is rampant. Respect the judiciary...how much more time ? . Seem PPP corruption cases on opening stage..
PPP, ANP, and others like them know that people are NOT going to vote them into power. So they are making noise before the elections. This is called raising a political smoke screen ..... to fool the people......surprisingly it has worked in the past. Now we have to see if works this time around....at least in Sindh for the PPP. @SM Let's see the result of the farce. Chose a leader Zardari, Nawaz , Imran Khan. Farce elections are for IK, the honest one, people are for IK- so where's the farce . I really hope that this time around elections would be rigged to outcast the likes of PPP and PML-N who have all taken turns in the past entire history of this country and have produced nothing! I really hope and pray that the senators word come true. Please talk about corruption of your leader too. “there is a civilian government but without powers; there is media but without freedoms; there are election candidates without freedom to choose a political platform and there are voters but their right to vote seems to have already been exercised.” —- 100% spot on. No wonder you were not allowed a Senate ticket! So spoken by some one who can read 'defeat' written on the walls! PPP has no chance, anymore than PML-N does. Now let the others have an opportunity. Why feel bad about it Babar Sahib. Of course the losing party will allege ‘engineering’. It’s an old tactic of PPP. Very true Senator it is getting obvious by the day. As they can clearly see a looming defeat even in their own backyard, what else can they say to stay afloat, make their presence felt and remain in the limelight? Nervous ppp leaders are misleading in their actions. Something very fishy that’s why some parties &leaders r so much sure of winning in advance?? ?Mr Baber is Very seasoned senior politician. Even PPP is making sense. Is it b/c someone in Karachi was caught yesterday? Rigged or not PPP is nowhere. Feel the pain Ex Senator. This man represents a corrupt party. So he is just an irrelevant bluff master. It's the payback time by all the corrupts regardless of the party. The people who make the laws have responsibility for future generations and should be accounted for what they do. You cannot have a thief making law to protect from thief. I hope only the one who have done wrong should be worried. Secondly dictators doesn't mean a person from Armed forces only. Dictator is "a person who gives orders and behaves as if they have complete power" as per the Cambridge Dictionary". If majority people do not stop at red light - is it correct to make it a law. People like him and his former party’s ill governance is the reason nobody cares anymore if the elections are rigged or not. In fact nothing has been as bad for Pakistan as PPP’s last tenure, which he was a part of. Very accurate view . These fixed elections will not help Pakistan but drive us back 30 years. Yes the PPP and their feudal overlords rig the elections every time in Sindh, If the electorate was free and literate, the PPP and the feudals would have been wiped out long ago. Look who is talking? Biggest looters and abusers of democracy-- PPP! PPP's claims are 100% correct. I live in rural Sindh. Almost every influential person has been paid millions of rupees for the votes in pre-poll rigging campaigns. 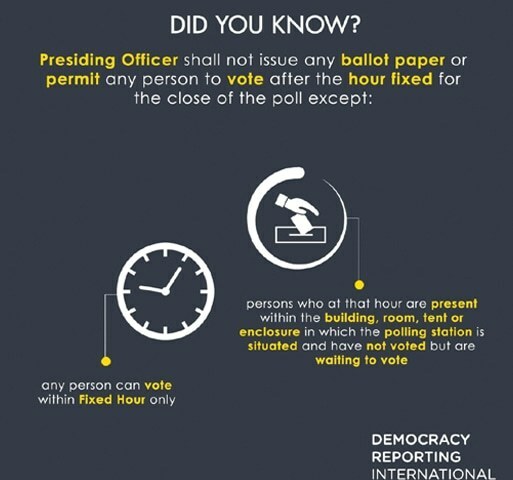 But what is important to be noted is behind this whole game of pre-poll rigging only PPP is involved. In almost every region of rural Sindh PPP has paid millions of rupees. There is nothing called elections taking place here in Sindh. I am a witness. As a staunch supporter of a very corrupt man (Zardari), Mr. Babar you do not have any credibility. Sour grapes! PPP does not stand a chance and they know it! If serving justice is rigging then let us rig the elections completely and place Zardari ECL now. Peoples money must be recovered. Why bother with these elections. All major parties should quit. Why doesn't he pull out of the elections if they are rigged. This would give some credibility to his statements othwersie he should be tried. Has he not worked for Asif Ali Zardari for years and defended his corruption for years? Has he ever looked into the way elections are held in nearly all rural areas of Pakistan? What exactly did he and his party do to take care of the needs of people of Pakistan? A corrupt PM has been taken to task and now he is afraid about the well being of his own cronies in the corrupt ruling elites of Pakistan. No wonder he is crying! They have conducted secret surveys to see their political parties standing and now its clear the writing on the walls, so started crying of rigging for face-saving. The ex's are welcome to speak about anything under the sun except the truth. It could make them as well as their bosses vulnerable to get a similar treatment from the powers that be. @Alba If the statement is made by PML(N) senator you may be right, PPP never claimed that they will ever win elections any other province other than the Sindh, so your comment unwarranted. Howcome dawn does not publish my comments, when it goes ahead and publishes comments from the same people four times in a day and every day ! I didnt know you need to have connections to even have your comments published on a news item in Pakistan. Im disappointed Dawn. Is PPP a democratic party. Zardari and now Mr. Bilawal Zardari. Please read and see the statements of Mr.
Says the person who foresees that he will never be elected not even to a senate seat and might even land up in jail. Babar need to explain how " votes are rigged"
Since PPP and Zardari as most corrupt leader is facing defeat, this excuse of rigging is put forward.